Today, I did something I have not done in a long time. I unwrapped a fresh canvas and let my heart draw on it. and we went to work. Never with an idea in my mind, my work draws itself on the canvas. driven only by a sense of balance. Crayons and paints smooth together creating texture and movement. 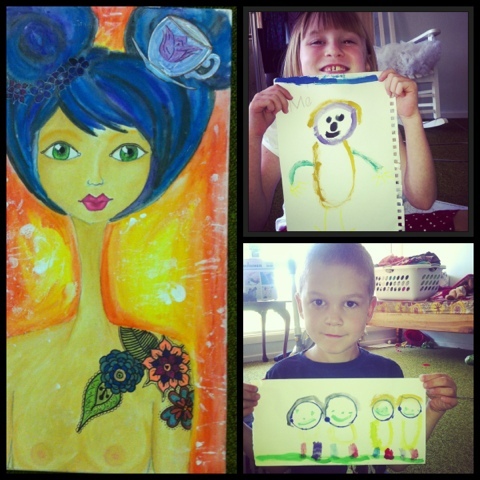 My babies made self portraits and pictures of their dad. adventurously blending colours and experimenting with what might happen. This is how things look at the end of the day. Some are already hung on the fridge. Mine is awaiting the final touches.